Defense budget cuts and an ongoing series of stopgaps spending measures is hollowing out the U.S. defense industry as much as Pentagon leaders accuse funding uncertainty for threatening military readiness and modernization, according to Lockheed Martin’s [LMT] chief executive. 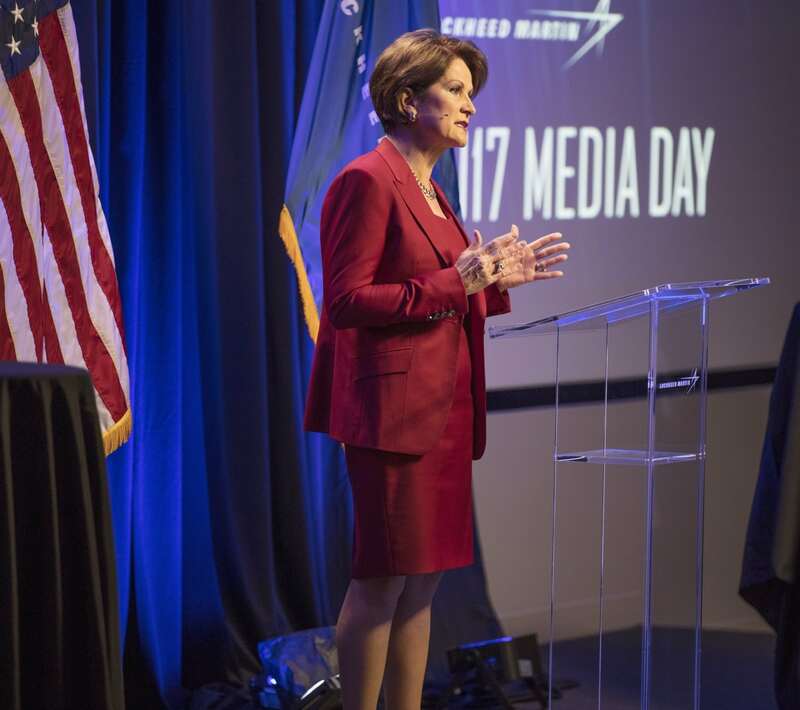 Speaking to the Reagan National Defense Forum in Simi Valley, Calif., on Dec. 2, CEO Marillyn Hewson said a recent history of anemic defense budgets has driven many second- and third-tier contractors from the defense sector. That has driven down competition and increased cost of producing weapons for prime defense firms, of which Lockheed Martin is the largest. Since austerity measures were written into law in 2011, 20 percent of small- and medium sized business that traditionally have competed for Defense Department work have left the defense industry, Hewson said. Forced to tighten its belt, the Pentagon has begun prioritizing cost over all else in competitions for defense contracts, she said. Sen. Jeanne Shaheen (D-N.H), a member of both the Senate Armed Services and Appropriations committees, agreed with Hewson that federal budget austerity is driving small businesses out of business. Lockheed Martin before the 2011 Budget Control Act had about 126,000 employees, Hewson said. That number has since shrunk to 97,000 employees because of defense budget cuts, she said. Hewson said the Trump administration’s focus on reducing corporate regulation, the recently-passed tax reform bill that she call “pro-growth” and global advocacy for U.S. business interests are encouraging. The 2011 BCA caps would keep the Defense Department to just $550 billion in the current fiscal year. Yet the House and Senate have approved a Pentagon base budget of $626 billion. That authorization will only pass if both houses can reach an agreement on the entire federal budget before the current continuing resolution expires Dec. 8. More likely is that another CR is enacted to keep the government funded into 2018, which would hold all federal departments at their current budget authorization levels with no adjustment for growth or new programs. Asked about yet another continuing resolution once the current funding stopgap measure expires on Dec. 8, Commandant of the Marine Corps Gen. Robert Neller said “business as usual,” then he apologized for sounding like a cynic. “We’re more used to operating under a CR than we are under a full appropriation,” Neller said.